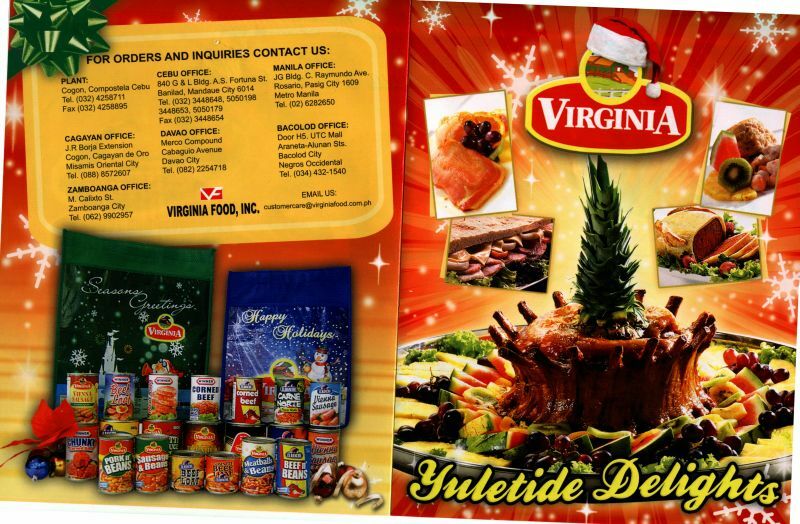 YULETIDE DELIGHTS from VIRGINIA FOOD INC…. ORDER HAM NOW… HURRY! 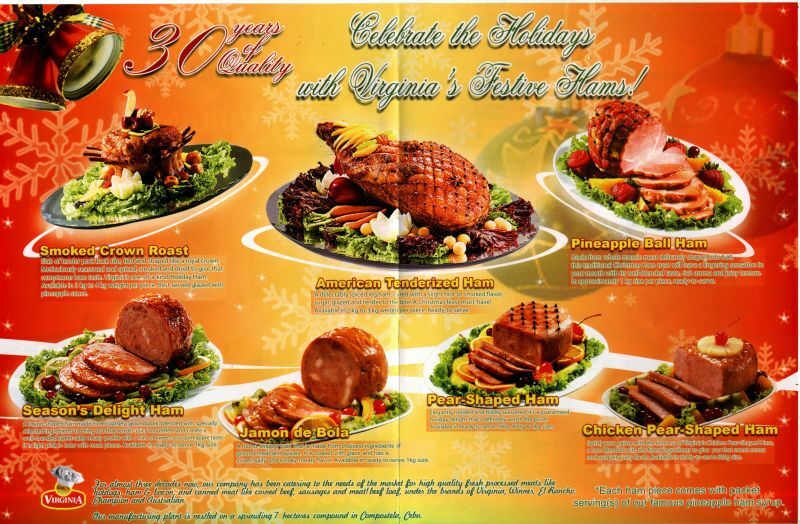 Now, lets celebrate the holiday season with yuletide delights enjoy VIRGINIA HAMS, SMOKED CROWN ROAST, AMERICAN TENDERIZED HAM, PINEAPPLE BALL HAM, SEASON’S DELIGHT HAM, JAMON DE BOLA, PEAR-SHAPED HAM, CHICKEN PEAR-SHAPED HAM. To heat a baked ham, preheat the oven to 325° F. Place the ham on a rack in a roasting pan in the bottom third of the oven. Bake partially cooked hams to an internal temperature of 160° F and fully cooked hams to a temperature of 140° F. Since I don’t know how large your ham is, I can’t give you exact cooking times. Using a probe thermometer is a good way to tell when your ham is done without having to open the oven every few minutes. Then, brush on the glaze and let it caramelize under the broiler for three to five minutes, watching carefully to make sure that it doesn’t burn. No matter what kind of ham you choose allow about ½ pound per person, give or take. Leftovers make great sandwiches and will freeze with no problem for up to two months, so go ahead and go big for the holidays. Oh, and don’t forget that you can make a lovely pea soup using the ham bone.